Throughout African-American history there have been many Black men and women who were seen as leaders of the people. Whether it was Frederick Douglass, Booker T. Washington, W.E.B. Dubois, Marcus Garvey, Malcolm X, and of course Martin Luther king, Jr., there has always been a leader. In the second decade of the twenty first century there really isn’t a single person that is recognized as the one leader. From a personal point of view I don’t see that as a bad thing. In my book, I’m Not Playing, I included an essay which talked about the four Black Americas. In the essay I stated that the four groups can be broken down into more categories. The point is that no one person can claim to speak for the entire African-American community. Despite this reality there are plenty of people who try to position themselves as the one leader. This is where the problems occur. Whether it’s on the national stage or in certain sectors of YouTube one has leaders, whether self-proclaimed or implied, who spend more time attacking each other than actually working on solutions. We see this really play out in the Black sector of YouTube on a daily basis. Whether it in the Black Manosphere or with the people who deal with the issues facing the greater community we have observed the beefs. If the beefs were focused solely on solutions and which direction to go there would not be as much of a problem. A close examination of the verbal back and forth between content creators will show these conflicts are based on more personality clashes as opposed to ideological differences. That is unacceptable. These “leaders” seem more concerned with likes, subscribers, and having their egos stroked than actually doing anything for the people. The very nature of a leader is to serve the people by leading them to an agreed upon destination. A problem with these “leaders” is that they are either not going anyplace or are suggesting strategies that have been shown to be useless. So how to do we solve this issue? I’m glad you asked. The first thing to acknowledge is that ultimately many of the leaders want to see a change. The second thing is that no one has to be The One. African-Americans in the 21st century are very diverse. There are Democrats, Republicans, and Independents. We have liberals and conservatives. There are Christians, Muslims, Hebrew Israelites, and African Spiritualists. It benefits all groups to have leaders and as the case may really be, spokespeople, to articulate the needs of each group and provide solutions to unique problems. The key is everyone staying in their lanes. What to needs to happen is that we learn how to respect the positions and thoughts of those who have different perspectives. In order to solve the problems in the community we have to look at all angles. Let me provide some examples. There are those who believe that politics will solve the problems in the Black community and that’s where we should focus our efforts. Then there is another school of thought who believe we should focus on economics. It’s the Dubois vs. Washington argument all over again. The reality is that both are needed to work hand in hand. The politicians create the environment for businesses to thrive and businesses fund the politicians to keep them in office. See how that works? Even on something like religion the reality is that everyone is going worship, or not worship, God in their own way. People have to fundamentally respect another person’s path. Then religious and spiritual organizations can come together to work for the overall betterment of the community. The Black community doesn’t need The One. 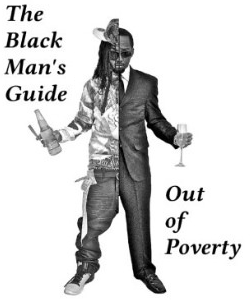 We need several people to maximize their sectors of the Black community so we can all move forward as ONE. Visit Rom Wills at www.romwills.com.